A multi-talented, multi-tasking graphic artist, Dana guides the visual art direction for TasteTro. Graphic design, copy writing, packaging and POP design, web, events….. she touches it all. Dana met James & Tara when the three began working together several years ago at an eyewear company, where Dana continues to work part-time. Prior to this, Dana led the packaging design work for Nalley’s Canada/Snack Alliance and served as Creative Manager for Brandlab Studios. From chocolate to chips and now spices, she has tremendous design experience in the food industry. Her work has been featured in CMYK Magazine and Applied Art Magazine. Dana holds a Diploma in Graphic Design & Illustration from the IDEA program at Capilano University as well as a Diploma in Design from Langara College. 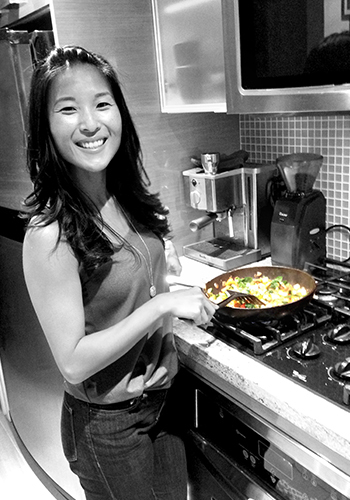 Dana is a true foodie – her weekday lunches are the envy of the team.